The first wire stripping machines worked pneumatically. This had and still has a lot of advantages. Apart from low operating and production costs, pneumatically driven machines can generate considerable forces, so that thicker lines with very hard insulating layers can be stripped. 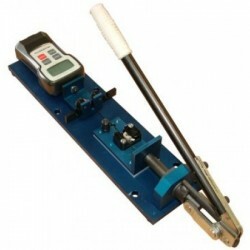 In addition, pneumatic wire stripping machines are very flexible. They can be easily adapted to new working tasks. 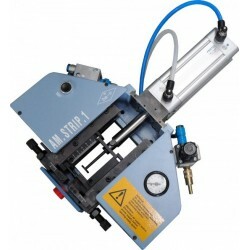 The extremely reliable and solid universal cutting machines of the SM15-series has been designed to process a wide range of different materials. By use of the appropriate accessories, materials such as PVC hoses, textile tubes, rubber, cable, ribbon cables, wire, strands, ropes, felt materials, foils, textiles, leather, materials of the medical field and further more can be processed. 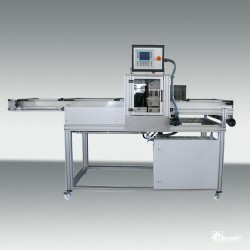 Maximum of ２００ｓｑ cut and strip processing has been realized. Such thick wires (MAX200sq) have been processed by hand in the field such as cubicle, elevator, power plants where they handle high voltage electrical power lines. 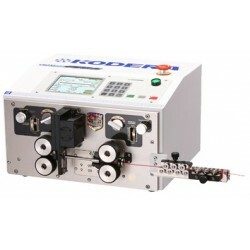 This machine processes such thick wires speedily and exactly. 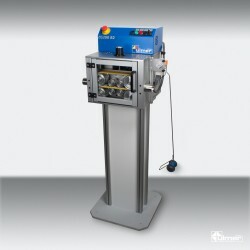 The feeding unit ZG200 B2SP is suitable for the processing of cable, wire and tubes with a max. diameter of 12.0mm. The cables have to be flexible as well as suitable for the running wheel diameter of 160mm. The material is feeded via two synchronically running coated conveyor belts. In conjunction with the upper belt limiter, all materials can be processed gently. Kirsten K700 the ALL ELECTRIC solution to cable stripping and crimping machines using the industry standard 40mm stroke applicator. The machine cycle is initiated by the insertion of the cable cut end accommodating very short stripping lengths for close applications. Crimptech National Ltd. Trading as Cableprep has been established since 1996, trading from West Sussex specialising in the supply of Cable Preparation Equipment to companies of all sizes. Having been in the industry in excess of forty years, our personnel have a wide understanding and knowledge of modern production requirements and methods. The director was personally employed in the 1980's as the Chief Production Engineer of a large, highly productive manufacturing company, and has a real "hands on" level of experience and understanding of manufacturing requirements and commitments, providing a full understanding of customer's needs. This has often resulted in standard production machinery being modified, by the manufacturer, resulting in a system that will meet the customers exact requirements. We have considerable experience working with companies manufacturing their own products such as electrical and electronic goods, including cabinet wiring for control systems, as well as subcontracting companies such as cable harness manufacturers in the telecom, white and grey goods industries as well as in the automotive, caravan and motorhome leisure industries. With the everyday increasing demands in technology to meet the modern day customer's requirements, complex and indepth solutions are sometimes required to which we endeavour to meet, having previously succeeded in the Aircraft industry where we have provided bespoke production systems built up from a number of excellent quality well proven production machines providing the customer with a very reliable manufacturing system. The hose cutting machine SSM60 is suitable to cut closed and slitted corrugated tube, PVC, rubber hose as well as further types of hoses with an outer diameter of up to 60 mm. Due to the applied guillotine-cut ( blade is fixed in a 45°-angle), a precise cutting angle as well as a high cutting quality is achieved. Full Automatic Double End Crimping UnitThis machine is highly efficient, simple and compact.This machine has the ability to crimp with 2.5 tons.The machine has automatic setting function of crimp force and "crimp force monitor" which displays the condition of crimped end in a graphic form on a LCD Screen.We adopt full color 10.4 inch LCD touch panel. 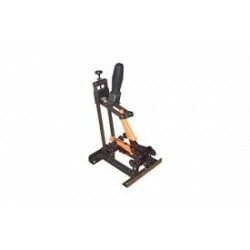 The Crimp Cradle uses a highly efficient tooling set which provides a mechanical advantage, when handcrimping of approximately 10 to 1. If a hand tool requires 20Kg of operating force the Crimp Cradle willrequire only 2Kg to perform the same operation. 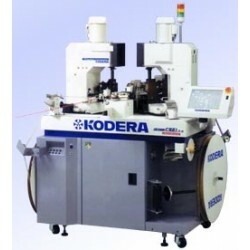 ULTRA HIGH SPEED AND ULTRA HIGH POWER !STANDARD WIRE PROCESSING MACHINESThis machine is based on Casting C351 which is the representative machine in the Casting series.KODERA developed this machine with identical ideas using new technology.Its processing speed is twice as fast as the Casting C351.It can use optional parts from Casting C351. 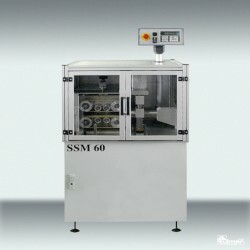 The heat-shrinkable tube cutting machine SSM800 has been designed to cut to length large-sized shrinkable tubes in line with expanding systems. Shrinkable tubes with a width (when flat) of up to 800 mm can be processed.